Warwickshire Police are trying to trace a man who breached his license conditions after being released. Colin Anderson, 25, was sentenced to three years and six months in prison on November 22 2013 for burglary dwelling and theft of motor vehicle and subject to licence until January 8 2017. Anderson is currently wanted on recall back to prison for failing to comply with the conditions of his licence. 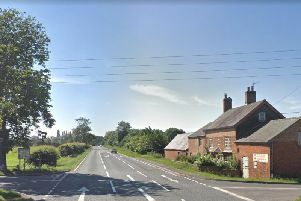 Though his whereabouts are unknown, Anderson does have connections with the Coventry and Rugby area. Police are urging the public to come forward with any information on his whereabouts to call police on 101 or Crimestoppers anonymously on 0800 555 111.